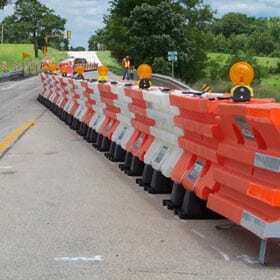 JTI offers the complete range of portable work zone barriers that provide protection for motorists and pedestrians. 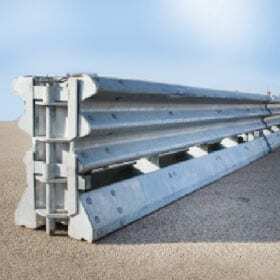 The Triton Barrier® and Yodock® Barrier are plastic water-filled barriers and the Vulcan® Barrier is a lightweight steel barrier. These barriers are all highly portable and do not require heavy equipment to deploy. 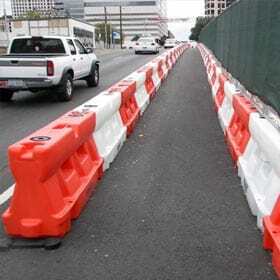 They can be used in work zones for traffic safety or at large events such as city festivals and university games. The temporary barriers are easy to set up and take down.